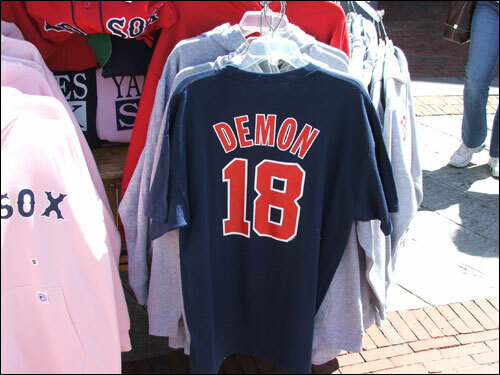 We staked out Faneuil Hall on Thursday looking for Red Sox Nation's take on Johnny Damon's return to Boston on Monday. A shirt mocking Damon hung on Stephen Reed's (not pictured) cart outside of Faneuil Hall. Reed is a passionate Red Sox fan. "I would boo ... him," said Reed. "He sold his soul."